It is found throughout India in Himalayas. An erect herbaceous annual, 60-120 cm high with grooved and gland dotted stems and branches. Seeds oblong, flattened, dark brown with an agreeable aromatic odour and taste. Seeds are dark, 3-4.5 mm long, 2-3 mm broad and rounded. Chemical constituents:: Psoralea corylifolia oil has various chemical compounds that include limonene, 4 terpineol, linalool, angelicin, geranylacetate, psoralene, bachiol, ?-element and ?-caryophelenoxide. This oil has an irritant and specific effect on the skin and mucous membrane. It has a powerful effect against the skin streptococci. This essential oil however varies enormously in its effect on different persons. With the majority (95%), it causes only redness of the leucodermic patches. According to Ayurveda, root is useful in carries of teeth whereas leaves are good for diarrhea. Fruit is diuretic and causes biliousness. It is useful in treatment of vomiting, piles, bronchitis, inflammation, anaemia etc. It improves hair growth and complexion. Seeds are refrigerant, alternative, laxative, antipyretic, anthelmintic, alexiteric and good for heart troubles. Seed oil is used externally in treatment of elephantiasis. According to Unani system of medicine, its seed are purgative, stomachic, anthelmintic, vulnerary, stimulant, aphrodisiac and cures blood related troubles. 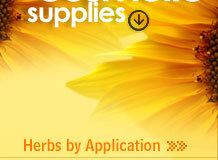 It is applied externally in treatment of skin related troubles. The powder from the seed is used to treat leprosy and leucoderma internally. It is also applied in the form of paste or ointment externally. 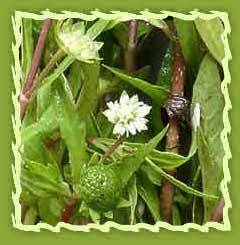 The unsaponified oil has been used with success in case of leucoderma and psoriasis. It was shown to improve the color of skin (including removing white spots), hair and nails. An ointment made by combining one part of an alcoholic extract of the seeds with two parts of chaulmugra oil and two parts of lanoline has been found to be effective in treating leucoderma, white leprosy, psoriasis and other inflammatory skin diseases and febrile conditions. The oil can be used both internally or as a simple ointment externally. It can be rubbed once or twice daily. The proportion of the active ingredients may be increased if needed. Seeds are also used to make a perfumed oil. They are also used for scorpion sting and snake-bite.